BMW's commitment to continue to deliver environmentally friendly vehicles apparently continues. After successfully presenting i8 hybrid models two years ago, the famous German car manufacturer again made a breakthrough. As quoted by Autoblog on Sunday, June 26, 2016, this time the renowned German manufacturer did not present a new model. But BMW did a refresher on the i8 figure. The information relayed on to Autocar comes from a source close to BMW's development boss, Klaus Fröhlich. 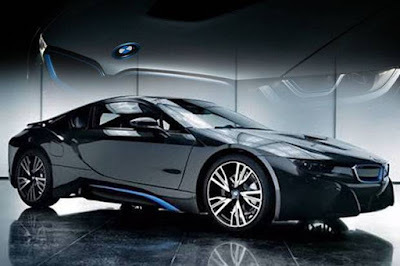 Since the first present with a conventional 1.5 liter engine combined with electric motors, the BMW i8 be a model so popular in between other sport cars. As a result the company did a refresher by presenting an electric version. By doing so, the car with a sporty design will be equipped with three electric motors that one will be placed on the front and two at rear, in lieu of driving power from a conventional engine used on earlier models. With those refresher received, reportedly the i8 will be increased in terms of performance. Currently, the i8 produces 357 horsepower all told, but the electric motors in the prototype are said to produce up to 268 horsepower – each. The electric prototype is to be based on the architecture of a hydrogen prototype, which manages 242 horsepower in total. 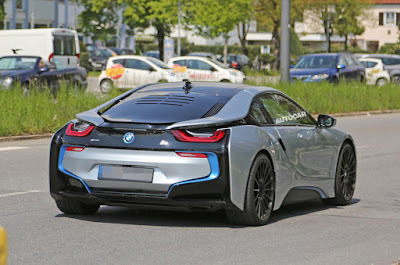 The facelifted version of the i8 should arrive next year, with awaited improvements like a new 26Ah lithium ion battery – 6Ah up from the current version. There is also talk of a Qualcomm inductive charging system, and its 7.2kWh operating power is doubled from the current 3.6kWh plug-in setup.